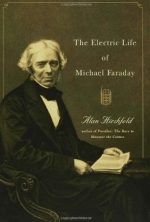 The Electric Life of Michael Faraday by Alan W. Hirshfeld is a great and engaging biography of, you guessed it, Michael Faraday. The man who worked himself up, against all odds, from a poor and underprivileged young man to one of our greatest scientists. It's hard to overestimate his impact on modern technological developments.